* We define "turnaround time" as the number of days your order is in production (i.e. the time between when your order is received and when it is shipped). Unless you contact us and make other arrangements, all orders (including products with different turnaround times) will be shipped together. If you need your Plywerk super, crazy fast (faster than expediting the shipping) then contact us as soon as possible and we'll do all we can to make it happen. A money-back guaranteed* rush fee will apply. * In the rare occasion that your rush order is not completed within the agreed upon rush order turnaround time, your rush fee will be refunded. To check the status of your order, you can log into your account, which you do by clicking on "Account" at the top of this page. Once logged in, you can view your orders their statuses in the order review area. To navigate, use the links on the left-hand side of the account area. Or for quicker reference track order here. Can I dropship to a friend/client/enemy? Yes, indeed. When you're ordering, simply enter their shipping name and address. If you'd also like to be sure your friend/client/enemy doesn't receive an invoice, packing slip or Plywerk brand on the back of the wood panel please contact us with your order number after placing your order. Yes. We offer FedEx international shipping with tracking to Australia, most of Europe and Canada through the shopping cart checkout. For international orders outside those areas, please email us directly at info@plywerk.com. We are not responsible for any import duty charges for shipping Plywerk outside of the United States. Sorry to be so mean. Should black and white images be submitted as Grayscale or RGB? All images should be submitted as RGB regardless of whether they are black and white or color. We only accept JPG/JPEG files. What are your recommended image dimensions? For optimum print quality we recommend that your images are sized to 300 dots/pixels per inch (dpi). When sizing your image calculate the dimensions (in pixels) by multiplying the Plywerk size by 300dpi. 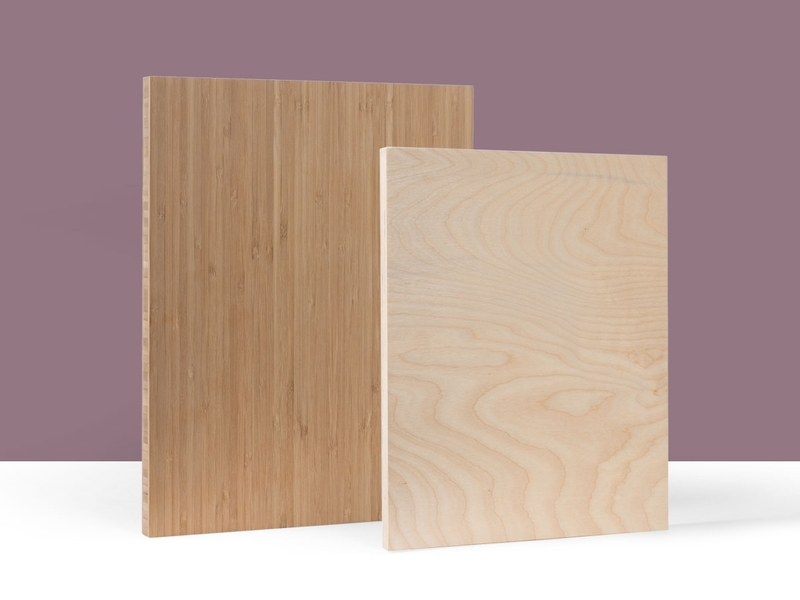 All blank Plywerk panels AND photo mounted prints are made slightly smaller than the stated size in order for us to mount a print and get that perfectly clean edge. We refer to the part of the print that will be trimmed off as the trim or bleed. If purchasing one of these panels or prints, please do not add any additional trim/bleed to your image. If you want an 8x8 panel, please upload an 8x8 sized print. 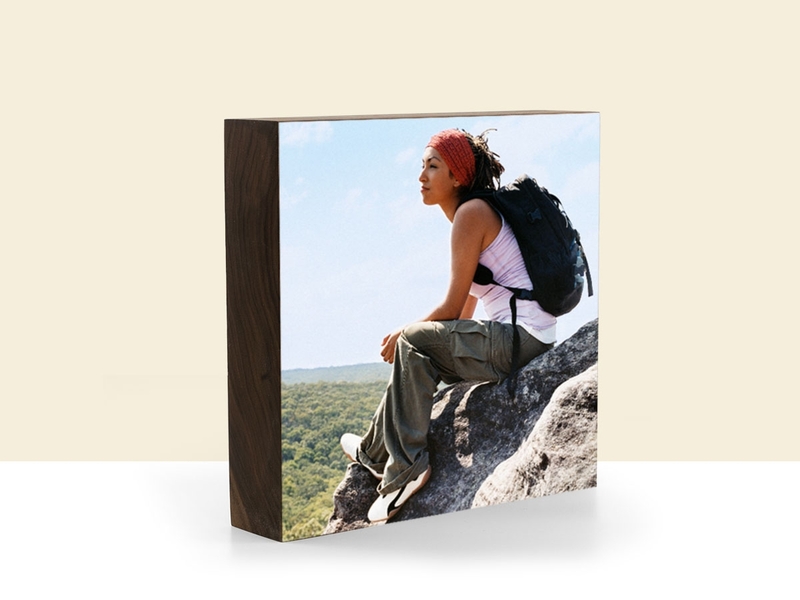 If you are mounting a blank panel yourself, you’ll need the print to be an 8x8 as well. All of this means that you will lose a tiny bit of the original image. In most cases, it’s not enough to even notice much of a difference but you should not place anything critical at the very edge of the photo, such as an artist's signature, in-laws’ heads, etc. 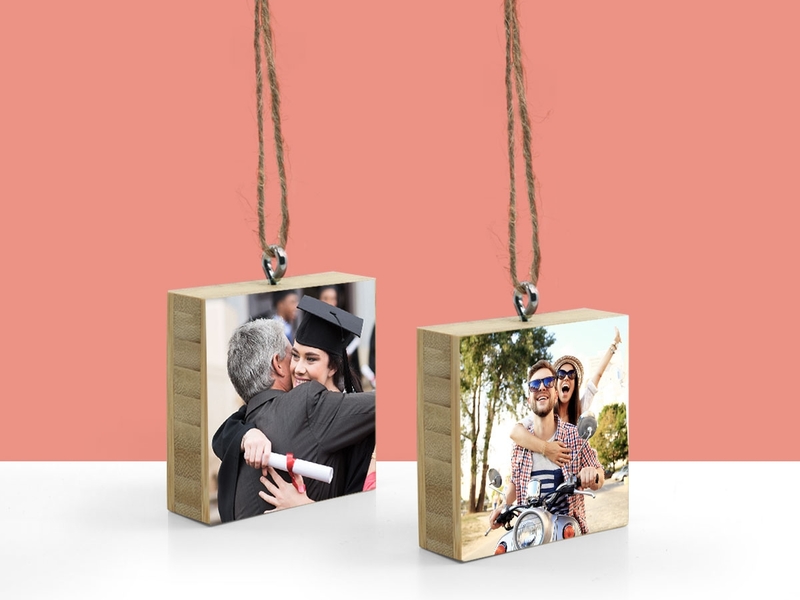 If your photo has a border or you want to add one, please be sure that the width of the border meets our minimum requirements. Since we mount the images by hand, this helps insure that the border will look even all the way around. What’s with the cut slots in the back of my wood print? 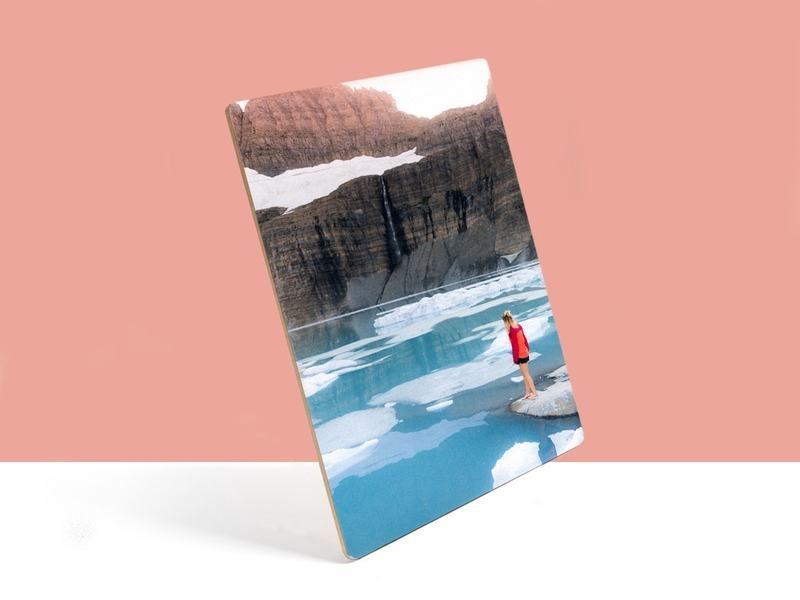 All Plywerk wood prints come with keyhole slots for ease of hanging and stand slots for standing your wood print upwards. Keyholes are cut in portrait and landscape orientation and stand slots come with a handy wood stand to insert inside the back of the print. Dang, we think of all the details don’t we? 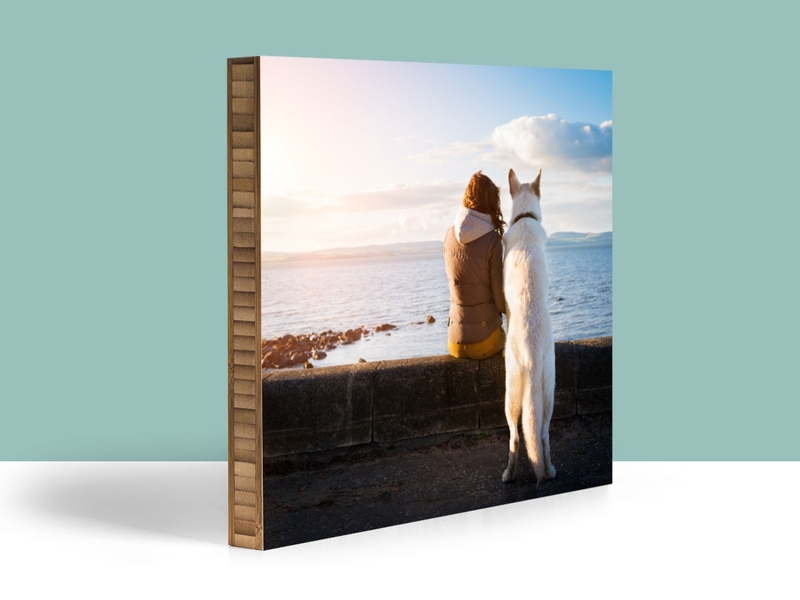 Unfortunately, any wood print larger than 11”x14” won’t have the stand slot as it will not hold its weight well unless it’s hanging around on your walls.